I'm not going to make a year end list for each style of music I enjoy, there is just too much of it. One list for everything. These were my most-listened-to, hardest-hitting, deepest-impacting albums listened to in 2011, in no particular order [because it's difficult and ever-changing]. Midnight Odyssey: "Funerals From the Astral Sphere" [Voidhanger Records] - Few may recall an obscure Australian man releasing a pair of demos in the respective years of 2008 and 2009. 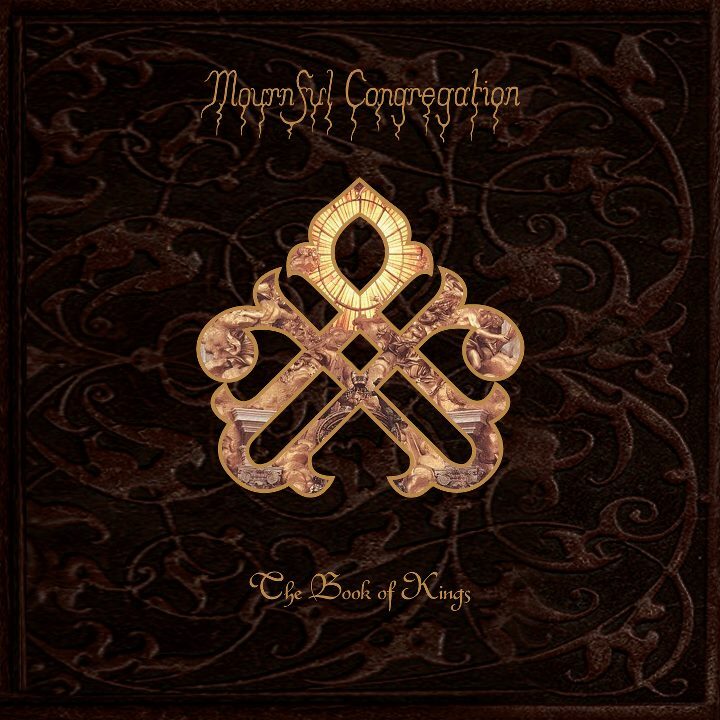 The music contained therein was reminiscent of Limbonic Art at times, with its mid tempo, atmosphere-laden black metal accompanied by screams, howls and choir-esque vocals. For me, there was always something special about it, and I made a mental note to keep an ear out for future releases. Come 2011, out of seemingly nowhere, a brilliant double-album is unleashed. What we have here is a stark, personal affair with the celestial plane. At times, somber and isolated, which contrast against pure, sprawling beauty that expose the depth of the songwriter's psyche. The sound has grown significantly more dynamic and truly creates for the listener a magnificent experience. Preterite: "Pillar of Winds" [Handmade Birds] - When I heard of the pairing of one of the two masterminds behind Montreal's Menace Ruine and Dystonia EK label-runner and abstract noise experimenter James Hamilton I become immediately elated. Following the direction of what Menace Ruine has been shifting towards, I knew a sound would develop within this new duo that would utilize Geneviève's illustrious voice. However, I was still profoundly surprised when I actually heard what they had done. Minimal, yet textured hymns awash with an austere performance from both members. This music is beautiful. Devastating. Ancient. A must have for fans of either member's projects or anyone looking for something fresh and unique. 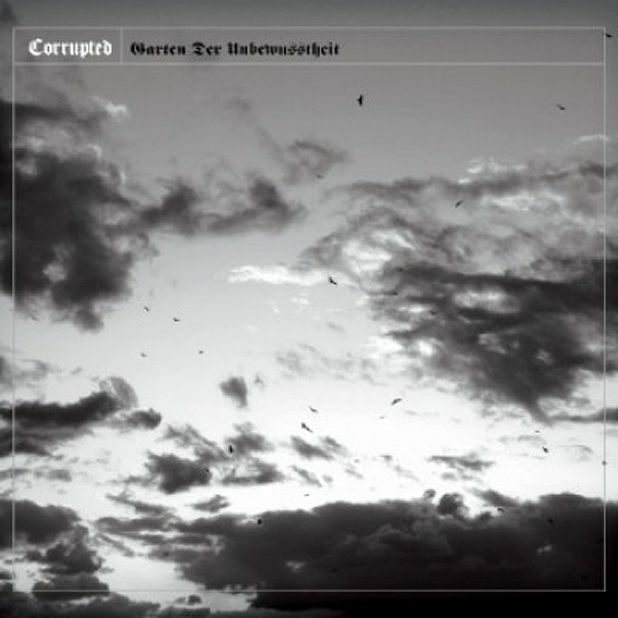 Corrupted: "Garten der Unbewusstheit" [Nostalgia Blackrain] - On perhaps their most ambitious [and that is really saying a lot when talking about this band's work] effort to date, Japanese masters of the doomiest, sludgiest drone on the planet have created another devastating and lamentful piece of art. Known for their hypnotic, galactically heavy sound, the band starts things off slow, immersed in contemplation, this soon develops into the slow, inevitable topple of the world's largest monuments. The music has a very organic flow to it, steadily rising to climax until it explodes into the beautiful spectacle of blissful destruction. 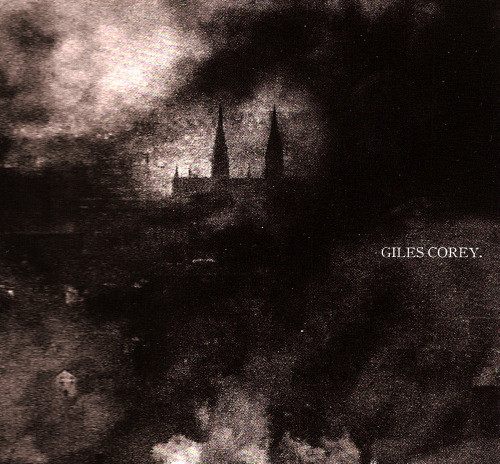 Giles Corey: "Giles Corey" [Enemies List] - In this day and age, home recording studios have become almost a staple, often times producing bands and music that, for a reason, never made it into an actual studio. However, there does exist an idea contrary to this, home recording done right. The engrossing and thoughtful approach made by the artists amongst the roster of Enemies List Home Recordings is a testament to everything that home recording should be. Label-runner and extraordinary artist Dan Barret's heartbreakingly lonesome project, Giles Corey gave us a full album's worth of material this year, complete with a book, detailing his recordings of personal and depressive experiences. It's this kind of approach that give such massive depth to what this music is all about. This album is sincere and honest and not to miss. Servile Sect: "TRVTH" [Handmade Birds] - It begins with the journey. Our mind is shot off to the far reaches of space and consciousness. Chemicals released inside and out. We gaze at celestial worlds and alien beings as we pass them by. And then, stillness. Tremendous Stillness. Servile Sect's records have always played out like a journey, or a trip perhaps. This time, we have the parallel's of their expertise divided in twain. Two sides of a chaotic coin, swirling masses of the black void, the ambient soundscapes are enthralling and unfamiliar, creating disturbing and wondrous moods. The more grizzly side hits hard with fast and intense black metal outbursts interspersed with sounds from the furthest reaches of the universe. Low: "C'mon" [Sub Pop Records] - I have been a fan of Low for many, many years. The band has yet to release an album of subpar material, and their most recent output is not an exception. Here, we see a more pop oriented delivery on some songs, though the performance is just as genuine and artistic as ever. This is not to say we are withheld from the epicness that Low can achieve. Emotions of all varieties are achieved here, longingness, fear,joy. The band has always had a knack for their intimacy and C'mon really lets you see them in a new light. 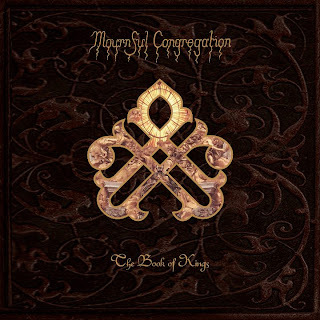 Mournful Congregation: "The Book of Kings" [Weird Truth Productions] - This album.... What can I say about this album to attempt to give it any sort of justification? The kings of oppressive doom return with another output of emotionally crippling, despairful doom from the bowels of a chamber deep beneath the surface of the earth. 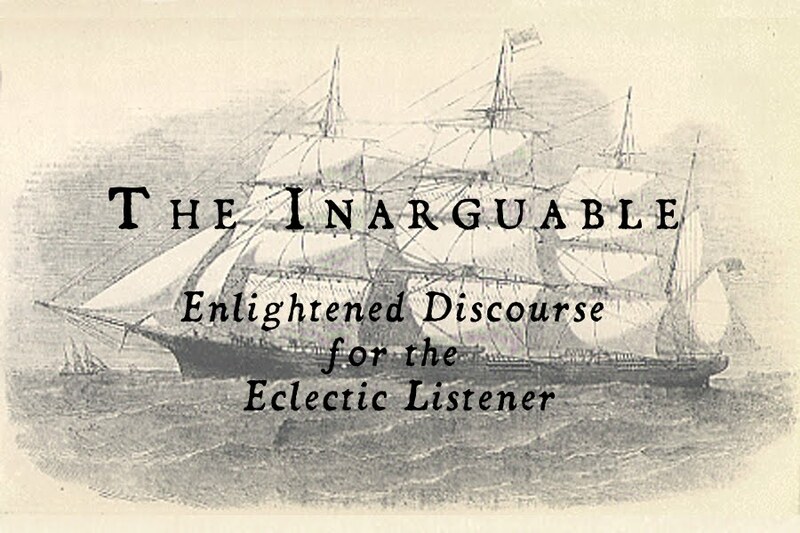 As each elegant elegy unfolds, you become so absorbed within them that all else falls from around you and you and the music share an intimacy rarely found in today's commercially-drowning world. Agonizingly slow, yet beautifully harmonic, an epic masterpiece. 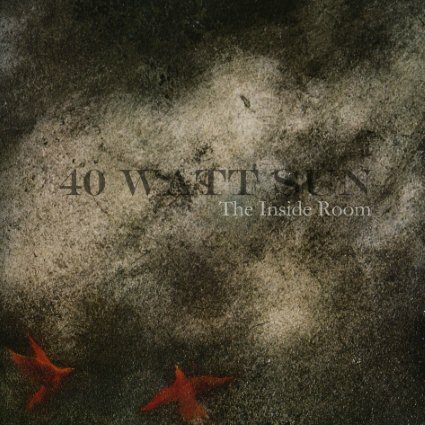 40 Watt Sun: "The Inside Room" [Cyclone Empire] - It is very difficult to talk about this band without bringing Warning into it. I know the two are meant to be separate entities but it's hard not to picture 4WS as more of an evolution of intentions rather than a new directional stance. The album encapsulates all of the honesty and sincerity that Patrick Walker is known for [both vocally and instrumentally]. Heartbreaking and yet, hopeful in a way. 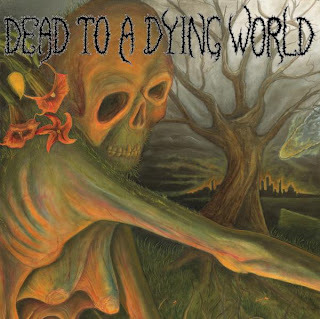 Dead to a Dying World: "Dead to a Dying World" [Tofu Carnage] - This 7-piece neo-crust/metal band surprised us with a full length debut this year, featuring cello and upright bass, as well as the usual suspects. This band, however, attempt to pave a new way for crust. The album contains three long and structurally dynamic songs that carry us through the skies of a dying world. There is something wholly organic about their songwriting, which makes this a very interesting and intriguing listen. 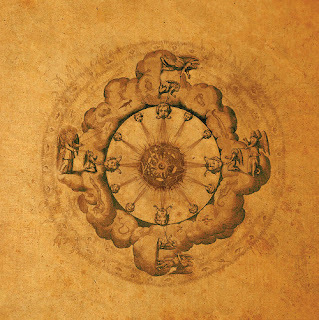 Their sound is clearly influenced by some notable crust bands as well as a post-metal mentality, but this record nay very well be at the forefront of breathing new life into the genre. 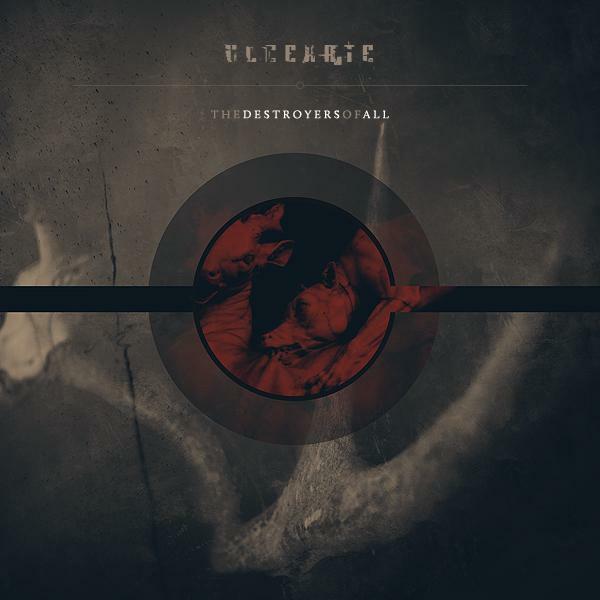 Ulcerate: "The Destroyers of All" [Willowtip Records] - This outfit from New Zealand has been constructing a temple since their creation. With each effort, the band manages to create a fresh take on their own brand of atonal, atmospheric death metal. Explosive with an ear for holding back until the time is right to unless a monstrosity. Sure, comparisons have been made [we don't need to mention them] but I, for one, think this band has a truly identifiable and unique approach to songwriting and sound. 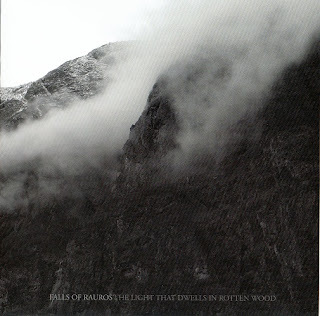 Falls of Rauros: "The Light That Dwells in Rotted Wood" [Bindrune Recordings] - Falls of Rauros is a band I have been keeping tabs on for a number of years. Their gradually maturing sound reaching higher and higher bars with every release. On 2011's output, the band breaks through new levels of emotional headway with their warm folk and sorrowful black metal. The atmosphere is high, as is the energy, and this Maine outfit does a remarkable job of capturing the essence of the wooded-coastal environment of their home. Aluk Todolo & Der Blutharsch and the Infinite Church of the Leading Hand: "A Collaboration" [WKN] - Groundbreaking neo-folk/martial-industiralists mix things up with French occult blackened kraut-rockers for a bizarre and unexpected journey into their strange, compelling world. The Beast of the Apocalypse: "Henosis" [Transcendental Creations] - The one man band from the Netherlands unveiled a new chapter in his book on the inevitable decay of humanity. Chaotic, vicious and brutal blackened assault bombards our ears from the beginning to the very end. Hateful Abandon: "Move" [Todestrieb Records]- A significant step forward from their debut release. Shows more promise, more direction and more anger. Alrakis: "Alpha Eri" [Self Mutilation Services] - A mournful, romantic soliloquy to space and the stars. First official release from one man German band. Esoteric: "Paragon of Dissonance [Season of Mist] - Powerful, intricate, crushing doom from the UK legends themselves. This album was fantastic, but in comparison to their last work, it fell just shy of extraordinary.